Watch for Summer 2019 info! Every year when the weather warms up we open up our five tennis courts for Snowcreek Members and guests. 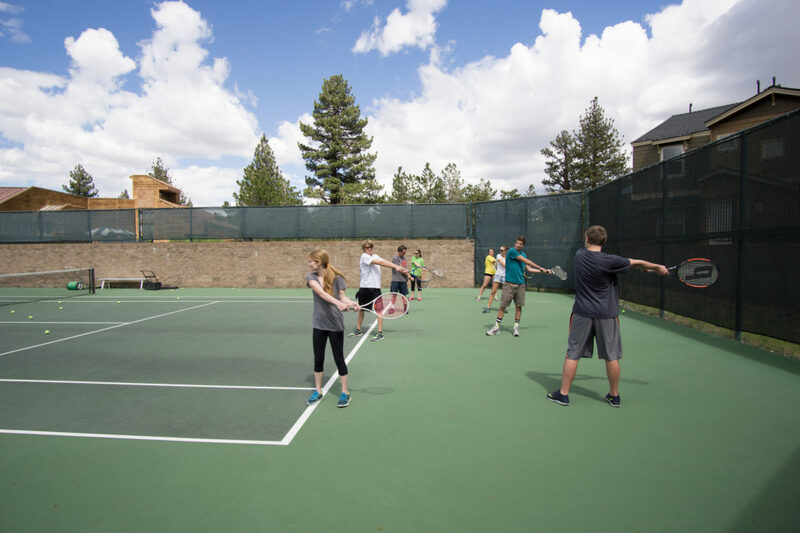 You can reserve courts to play with friends, or you can join one of our tennis clinics or camps! Private Tennis Lessons are available by appointment (weather permitting). Contact Tennis Director, Russ Chessler at 760-709-1737 for more information.